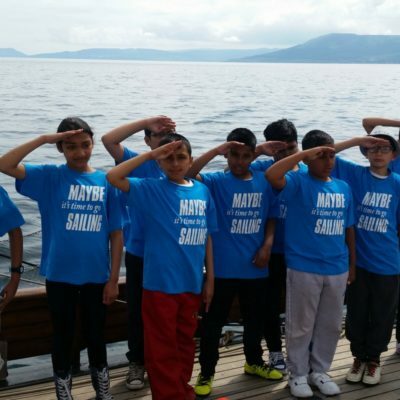 Maybe Sailing Youth Initiative aims to provide young people with an unforgettable experience where they can develop valuable life skills and have fun. 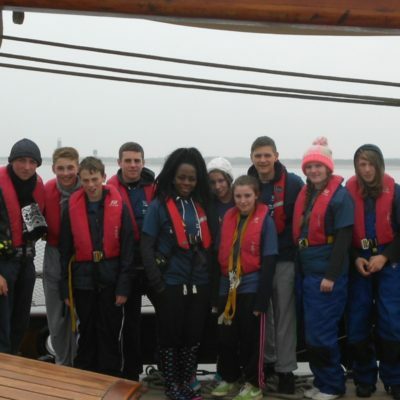 Maybe Sailing Youth Initiative has developed a close working relationship with schools across the UK and Ireland. Following a successful primary school pilot scheme in 2012, Maybe Sailing Youth Initiative is now offering sail training programmes to both primary and secondary schools, during term time and opportunities throughout the school holidays. Tall Ships and historic traditional sailing vessels such as Maybe are working examples of history which provide a wealth of inspiration and knowledge to share with people of all ages. 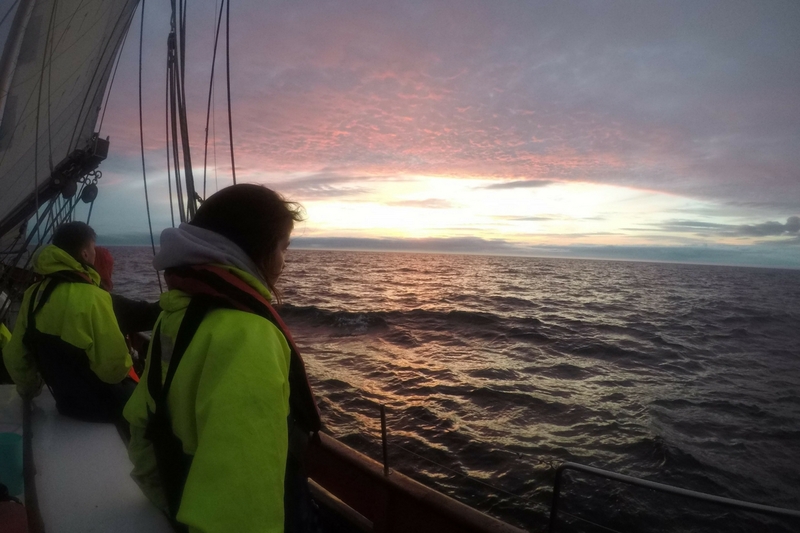 It is our aim to encourage learning and to facilitate a relationship with sailing and the sea as well as developing self-awareness, leadership and a sense of community whilst aboard. Providing a fun and safe experience for the entire group! The highlight of the Tall Ship Adventure programme is your visit to the Tall Ship Maybe. To enhance the overall experience and maximize the benefits to your pupils we recommend taking advantage of the pre-visit activities. We want your experience with us to be a meaningful part of your academic year. Don’t worry if you have not sailed before. The permanent crew is always on hand to support you through the tasks involved, you will always have an experienced permanent crew member with you on watch to show you what to do and answer any questions. 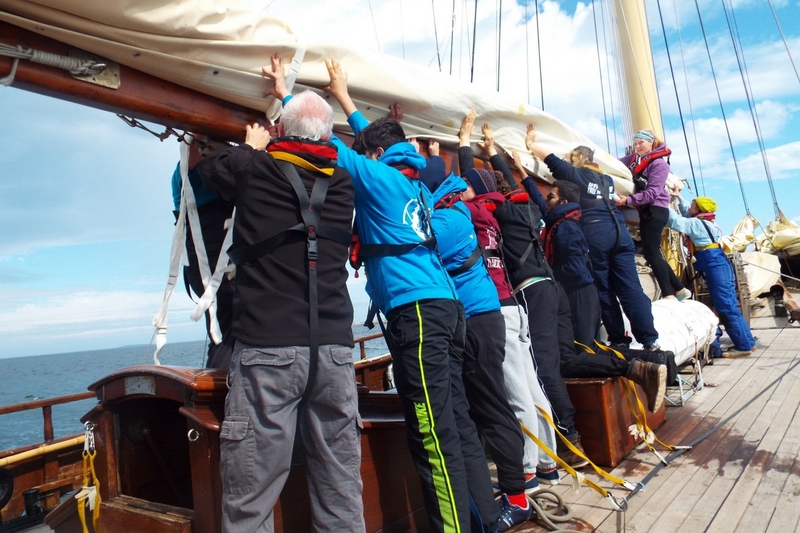 Every pupil is given the opportunity to steer the boat, keep a look-out, make log entries, hoist sails and get involved with the general operation of the ship. When we trim the sheets or undertake a manoeuvre such as tacking or gibing, hoisting or dropping a sail, everyone gets involved! The safety of everyone on board is of paramount importance. Maybe is maintained in accordance with the Maritime & Coastguard Agency’s Code of Practice for Small Commercial Vessels. 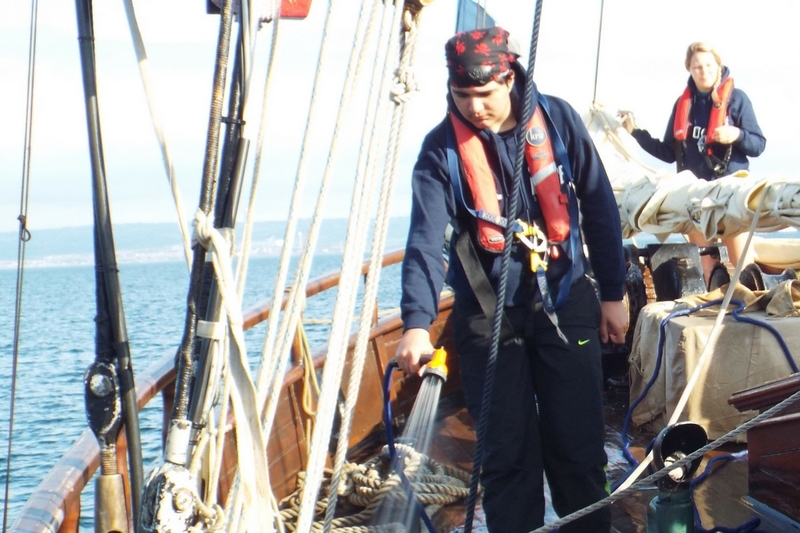 Regular surveys by independent assessors and on-going maintenance ensure that Tall Ship Maybe meets and exceeds the legal requirements to operate as a sail training vessel. The permanent crew on board Maybe are trained and qualified in accordance with the regulations laid down by the Maritime and Coastguard Agency (MCA). 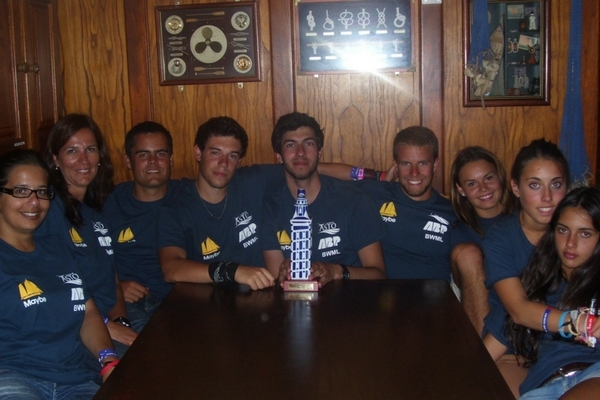 The Skipper is qualified as a Royal Yachting Association Yachtmaster Ocean with Commercial Endorsement. Under maritime law, the Skipper is responsible for the safety of the vessel and everyone on board. Each voyage starts with a safety briefing. There are important points that must be covered during these briefing sessions. These include fire alarms/drills, man overboard and most importantly the wearing and use of life saving equipment. Everyone is required to wear integrated lifejacket/harness whilst on deck at sea. For safety reasons, smoking is strictly prohibited and is not allowed on board. Alcohol consumption is prohibited on board during any youth voyage. No drugs permitted on board unless there is a proof of prescription of a medical provider. This is a ZERO tolerance policy. The persons responsible will not be allowed to continue the trip. 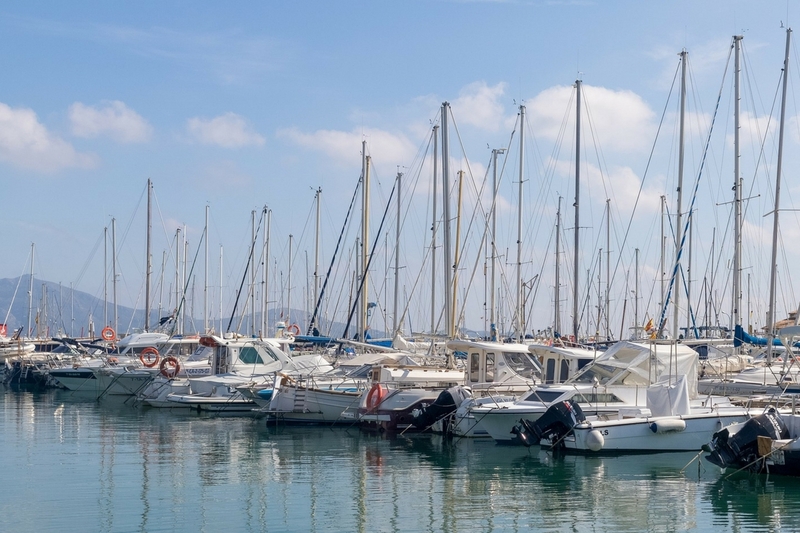 Insurance: Maybe Sailing assumes responsibility for members of the group, individuals and other passengers only when afloat with Maybe or its tender and holds insurance to cover legal liability in the event of injury or mishaps during these periods. Maybe Sailing does not cover loss or damage to personal property, personal injury or medical needs other than where Maybe Sailing negligence is involved. Group leaders and individuals should provide additional insurance cover to meet any medical needs and for loss or damage to personal property when off the vessel. 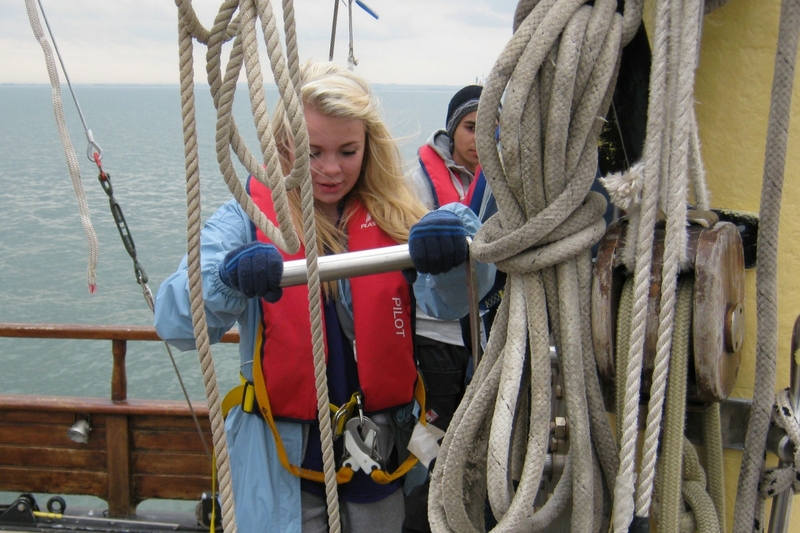 The benefits and importance of youth development through sail training has been documented in a number of studies, most notably in the research study conducted by the University of Sydney, Australia, in research conducted by the University of Otago, New Zealand and more recently in the research conducted by the University of Edinburgh that was commissioned by Sail Training International. Each piece of research concludes that those participating in a structured youth development program on a tall ship benefit in a number of ways that include but not limited to: developing increased teamwork and leadership capabilities as well as increasing the level of community responsibility. Download a PDF of our typical routine for a 24-hour school sail for primary school. Download a PDF of our typical routine for a 5-day voyage for secondary school. To find out more about our school sails and arrange a meeting with our education co-ordinator, please contact frankie@maybe-sailing.com. Thank you for everything the team at Maybe have done. 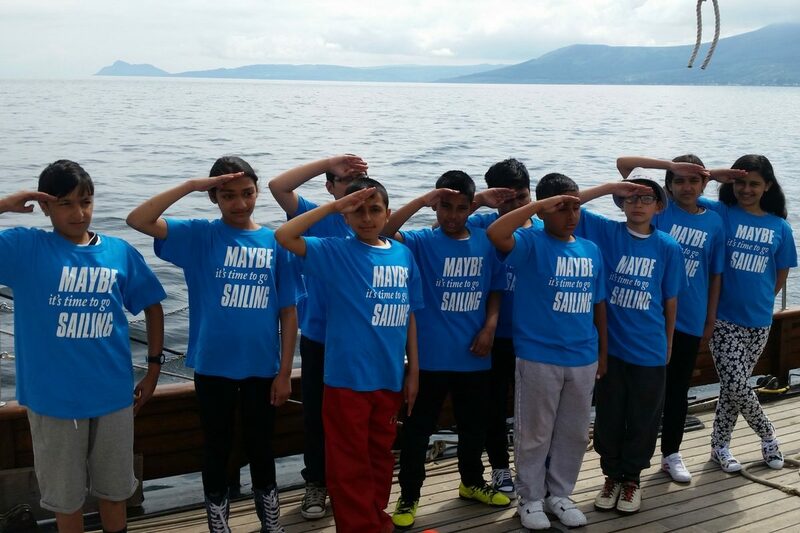 You have directly changed the lives of 46 students, 6 teachers & 2 head teachers through sail training in 2014 & 2015. You have indirectly made an impact on over 2500 students at our school as well as across our 15 feeder primary schools. Tony Walker, St Bedes, Bradford.